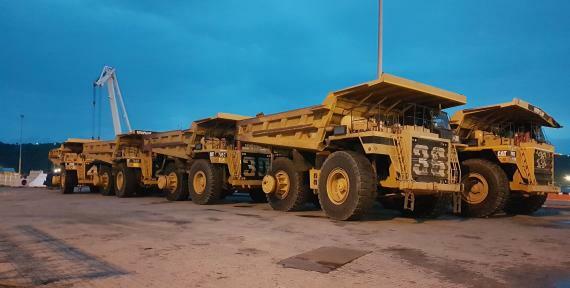 Afriguide Logistics are members in South Africa and recently handled a project shipment involving the export preparation and movement of 9 mining haul trucks from Durban to Indonesia. 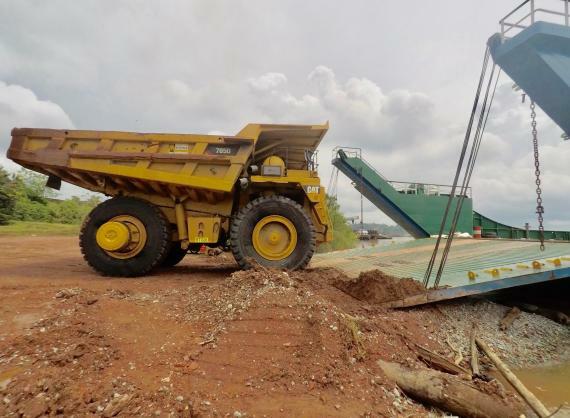 The 9 mining trucks (8 x CAT 785C and 1 x CAT 777E) totalled 3,707cbm and Afriguide performed the task with their agent in Australia. 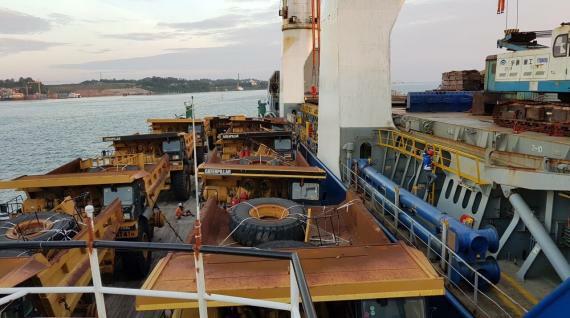 Brad Stephens (Director) explains; "Part of the challenge was to get the trucks into Durban before the annual abnormal road transport embargo kicked in on the 8th of December to meet a ship chartered to sail at the end of December. Another challenge was there was extensive maintenance and preparation work to be done on the trucks prior to shipment, such as re-fitting the 40tn rock bodies to the chassis, but the trucks could not be moved to the port by road during the time of shipment (due to the embargo) so this meant staging at an off-dock yard in Durban. This left the problem of getting the 110tn trucks to the shipside without using the road network so it was decided to move them with a floating crane just prior to the ships arrival. 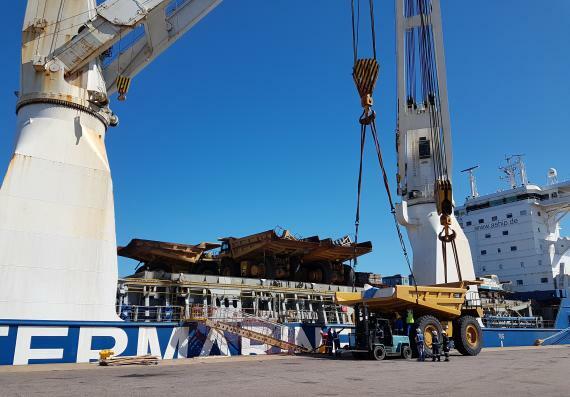 Fortunately, all repairs and fitting were completed in good time for the operation and the trucks were delivered shipside just before her arrival in port. The loading operation then went as smoothly as possible and all 9 units were loaded on board during a single day shift without incident." 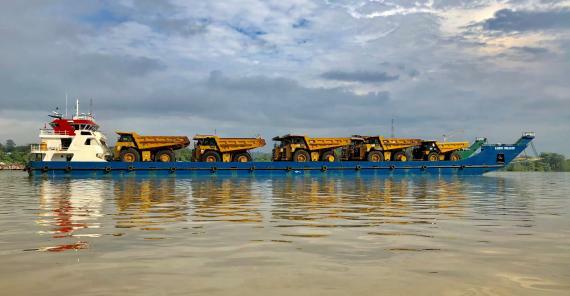 The next leg of the journey was a safe sea passage to Balikpapan in Indonesia where the trucks were transferred from the heavy lift ocean vessel to a barge which then took them to the most feasible beach head closest to the mine site before the short trip by road. Click below for photos of the operations. All cargo was delivered safely and on time as planned. A well-executed job from Afriguide Logistics!